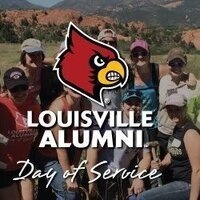 Kick off Homecoming Week with alumni and fans as we give back to the local Louisville community on October 20. Help with the fall clean-up of Central Park at 9 a.m. or volunteer at OneWest at 1 p.m. One date, two locations, and plenty of fun to go around, so invite your friends and family and let's make an impact right here in our backyard! Complete the Olmsted Service Waiver using this form. Review the site map for parking and meeting spot. Avoid parking in the gravel lot in the park. Plenty of street parking should be available. Gloves, tools, and snacks are provided by Olmsted! Meet at the Old Louisville Information Center near the center of the park to begin the project. Arrive wearing clothing you don't mind to get dirty, long pants, and closed-toe shoes. Street parking should be available. Gloves and instructions are provided by OneWest! Families are welcome. Volunteers must be ages 13 or older; minors must have adult supervision.